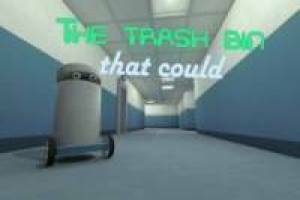 The Trash Bin That Could is a game in which we are told the story of a robot whose function is to be the garbage can. He is very devalued and that is why he wants to run away from the office where he works and start a new life. We will help you to flee having to dodge the security cameras because if they discover you, you will go back to the place that corresponds to you. Use the keys A, S, W and D to move and take advantage of the movement of the cameras to pass without being seen. You have a problem and that is that your battery does not last long and you will have to go looking for the loading platforms. 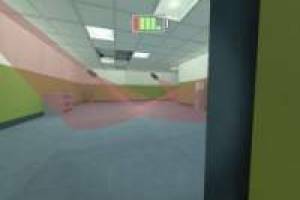 Fill your load to the maximum to undertake the next movement and reach the elevator that will take you to a new level. The loading platforms are also a point of control to which you will return if you are discovered. Enjoy the game The Trash Bin That Could, it's free, it's one of our robots games we've selected.